Product Details-Composition Piroctone olamine in shampoo base -0.5%w/w, Features- Maintains natural microbial balance. Use- Anti adhesive properties to prevent bacterial and fungal attachment, Eliminates unpleasant ear canal bad odour Soothing moisturizing shampoo for itchy skin Helps restore skin integrity and epidermal barrier function, Suitable- Dogs and Cats of any age. Quantity - 200ml. Product Information-If your pooch or cat has had any skin allergy, the skin remains vulnerable for a while. 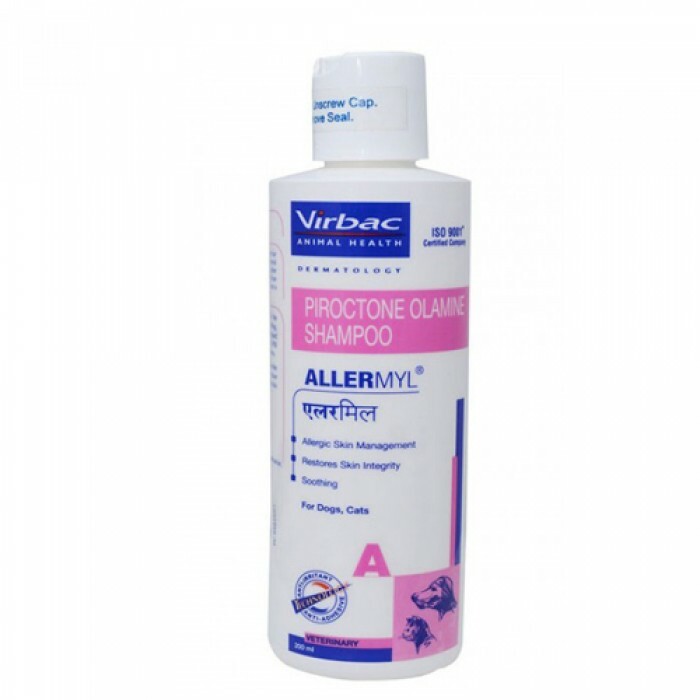 Virbac Allergy Shampoo has been specially formulated for dogs or cats who have sensitive skin or skin that is prone to skin infections. 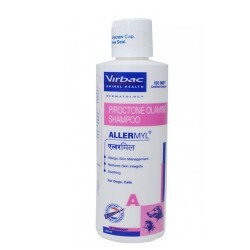 The foaming micro - emulsion, hypo allergenic shampoo gently cleans the skin and reduces the buildup of allergens. Directions for use- Wet the hair and apply shampoo. Lather freely. The interval of shampooing can be determined by veterinarian based on stage of Atopic Dermatitis.